“It’s going to be worth it. 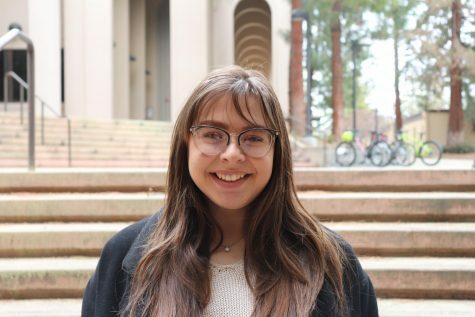 Don’t give up,” said Itzel Sanchez, panel member at the Building a Life in Social Change talk organized to provide guidance to De Anza College students. Cynthia Kaufman, director of Vasconcellos Institute for Democracy in Action, has organized talks for the past five years to inform students of college and career opportunities. The panel, consisting of former De Anza students Ben Pancho, Itzel Sanchez, Mia Hernandez, and Nick Kuwada spoke about their transfer and graduation experiences. Hernandez said she has political aspirations and wishes to run for office. She said she learned from her internship about building a social network. Hernandez said there are many ways to get involved in college. “Learning hard skills in class is important,” said Hernandez. She said participating in college activities is significant. Hernandez participated in Hafsa while studying at De Anza. Ben Pancho spoke about loan forgiveness programs. “If you work in the public sector, student loans are forgiven after 10 years,” said Pancho. Nick Kuwada said, “not just talking the talk but walking the walk” is important and building one’s resume was important. There was a question and answer session and students also received the panel members’ contact information for future guidance. 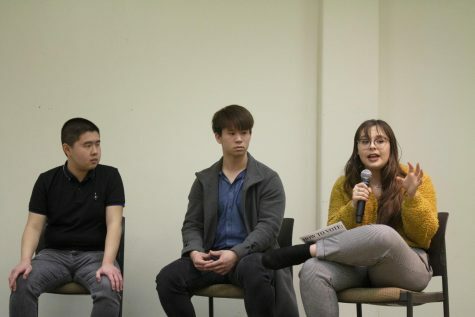 “Their experiences make the effort as a student worthy,” said Demo Yang 28, cultural studies major. Shelly Michael, 19, political science said the panel informed her of college opportunities. “I learned a lot of the importance of being open to opportunities regarding where they fit in our life path,” said Michael.